This program empowers your students to be active and safe in whitewater and swift water environments. This two day/two night adventure will encourage a cooperative and supportive team focused learning environment. There is also ample time in this program to simply play, swim and enjoy being in the beauty of nature to make unforgettable memories with friends. The river is never the same twice. How to tell when conditions have changed? 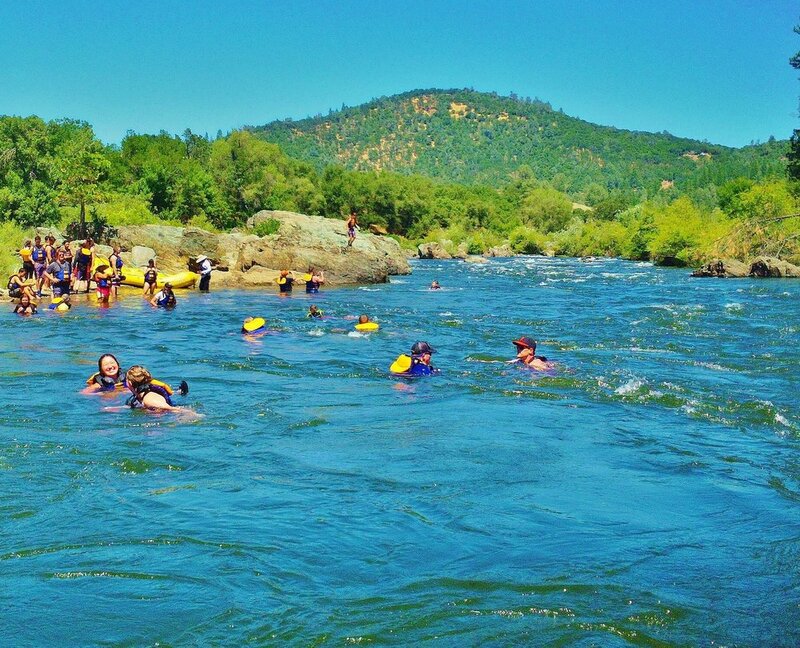 This trip combines both of the beautiful Class III Chili Bar and Gorge sections of river to give you a complete, memorable and inspiring California rafting experience. There will be plenty of time to play and to enjoy just being outside as part of this course. Check in between 4pm - 6pm (if you are eating dinner with us) or 4pm - 10pm if you are eating dinner elsewhere on the evening prior to your first day on the river at the River Runners site in Camp Lotus 5461 Bassi Road, Lotus California, 95651.